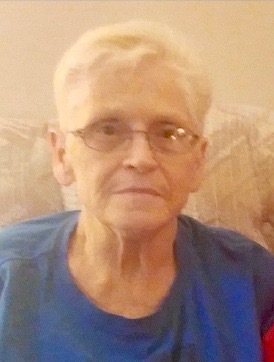 Barbara Jo Blood age 70 of Crosby died on March 20, 2019 as a result of an automobile accident. Barb was born on October 10, 1948 in Crosby to William and Elaine (Evans) Robinson. She graduated from the Crosby-Ironton High School, class of 1966. Barb married John Blood on August 13, 1966 in Ironton. She was an area cook. Her employment includes; Roy’s Café, Sun Down Café, North County Café, Jim’s Lunch, Timber’s Diner and the Cuyuna Regional Medical Center. Barb is survived by son, John (Kris) Blood Jr. of Deerwood; daughter, Susan (Pete) Bratsch of Robbinsdale; a brother, Jeff (Karen) Northburg of Aitkin; ten grandchildren and two great grandchildren. Preceding Barb in death are her parents; husband, John (March 15, 2019); step father, Francis Northburg; brothers, Marlin and Harold Robinson and Darrel Northburg; and a sister, Sandra Arruda.